Kick off your morning with your favorite drink! 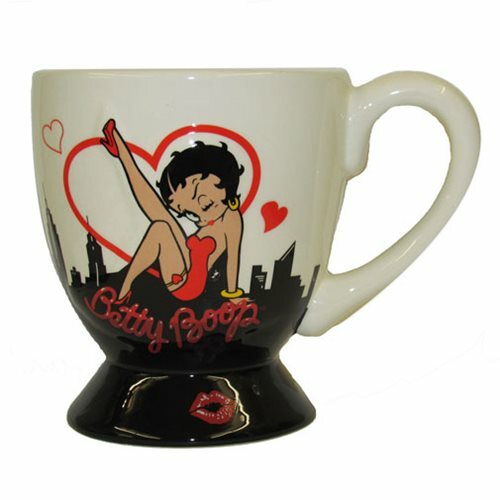 The glamorous Betty Boop graces the front of this stylish mug. The Betty Boop Heart Mug measures approximately 5 1/4-inches long x 3 3/4-inches wide x 4-inches tall.